Captain Walter Smrha always knew he wanted to work on the water. 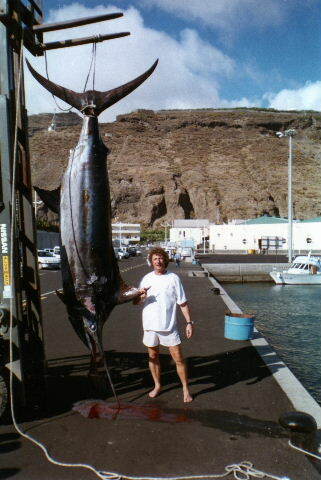 He has been fishing for 16 years and the biggest fish he caught is a 500 kg Marlin. Captain Walter has been fishing in Florida and all over the Mediterranean sea and his favorite technique is trolling. He loves fishing and getting clients on fish. Whether you're after monster Billfish or tasty Amberjack, Capt. Walter will work his hardest to get you on the biggest fish out there. Sea was really too rough so we ended up going up and down the same bit of coast outside the harbour many times enduring the swell. There was zero bites. So really a boring experience. The two lines he put out were not touched for 6 hours until the were wound in at the end. I beleive the captain should have said it was too rough and not gone, or offered to cut the trip short when he got out and realised the conditions. The boat was perfecy capable of dealing with the swell but the rough conditions meant we couldnt even give up on fishing and go looking for whales or dolphins. Nice trip! Fish just weren’t biting. Saw some whales and a school of tuna and a great view of the island!